If you want to conserve energy in your home, but don't know where to begin, consider using an energy conservation kit. Most kits are available for free and contain everything you need to start conserving energy right away. Conserving energy is something most people consider at some point. Not only does energy conservation help the environment, but it can also lower your home's energy bills. The facts of energy conservation are clear; there are benefits to taking even the smallest steps. While you can purchase energy conservation kits at some hardware stores, you may also be able to get one for free from your state or city government. You may also wish to check with your utility company to see what may be available in your area. Local governments or utility companies will also frequently provide energy conservation tips to help you reduce your energy consumption even further. Every kit for conserving energy is going to be slightly different, depending on what company produces it and whether it's something you purchase or receive for free from an energy conservation group or other source. Each kit is filled with various items to help you conserve energy in your home. The kit will include a combination of several useful items. Gone are the days when fluorescent light bulbs meant long tubes of flickering and poor light. 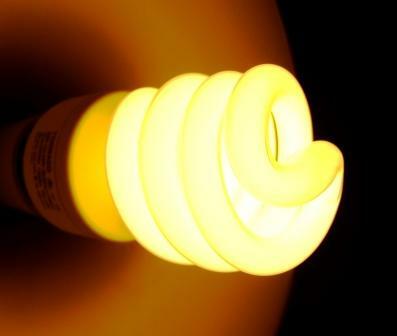 Today's fluorescent light bulbs use 75% less electricity than incandescent light bulbs and last 10 times longer. The light given off by these innovative new bulbs is just as good if not better than standard light bulbs as well, making the switch an easy one for most people. Be sure to consider the fact that your energy bill will drop by as much as $30 per bulb over its lifetime. This is one part of the kit you'll truly find beneficial. A low-flow faucet can save hundreds of gallons of water a year. If spending the money to switch out your current faucets to low-flow models is too much, the low-flow faucet aerators inside most conservation kits can get the job done for you. Most aerators can be installed in minutes without the need of a plumber. The aerator works to slow the amount of water coming out of your faucet, keeping it at or below set amounts. A frequently overlooked source of energy leaks is found in your outlets and light switches. Most of these holes in the wall are open down to an exterior electrical box. Over time, these become sources of heat and cooling loss. By inserting a foam gasket behind each plate, you can stop this energy loss and reduce your heating and cooling bills. Most people have their hot water tanks set at the time of installation to a temperature much higher than they actually use. The water gets heated whether or not you use it. The result is that not only are you wasting electricity or fuel, but you are also wasting water, since cold water needs to be mixed with the hot to lower the temperature. A hot water temperature gauge will help you find the temperature you use for showering and running your appliances. You can then set your hot water heater to this temperature, resulting in less energy loss. Dirty air conditioning filters cause your system to work harder to circulate cold air. An air filter whistle sends a signal to let you know it's time to replace the filters before they reach this point. This will not only result in lower air conditioning bills, it will stop system freeze-ups that occur when an overworked system ices over. You may find that some energy conservation kits have fewer or more items than the ones listed. If you're purchasing the kit, then check the contents to make sure it contains items you need. If you have some of the items provided by the kit already installed in your home, then consider donating what you can't use to organizations that offer similar kits.